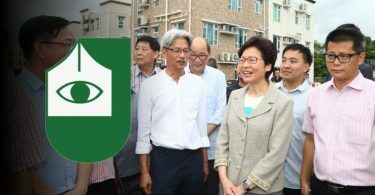 Chief Executive Carrie Lam said Tuesday that she wants her appointed advisers at the Executive Council to be more involved in forming government policy, comparing them to “sages” owing to their experience in various fields. “The Executive Council members are even more experienced than my principal officers. Their average age is 62 – older than my key officials. I believe they will assist with my governance work as sages,” Lam said after meeting with the Executive Council for the first time as the city’s leader. Carrie Lam and her Executive Council met the press after their first meeting under Lam’s leadership. Photo: RTHK screenshot. The Executive Council is the top advisory body for the government. It consists of all 16 principal officials, as well as 16 non-official members appointed externally. Lam said the advisers have extensive experience in various sectors – such as education, law and IT – and represent different political backgrounds. “As the most important advisers to the chief executive, the [Executive Council members] need to get involved in the policymaking process, discuss ideas and reflect public views to the heads of bureaux and departments as early as possible,” she said. 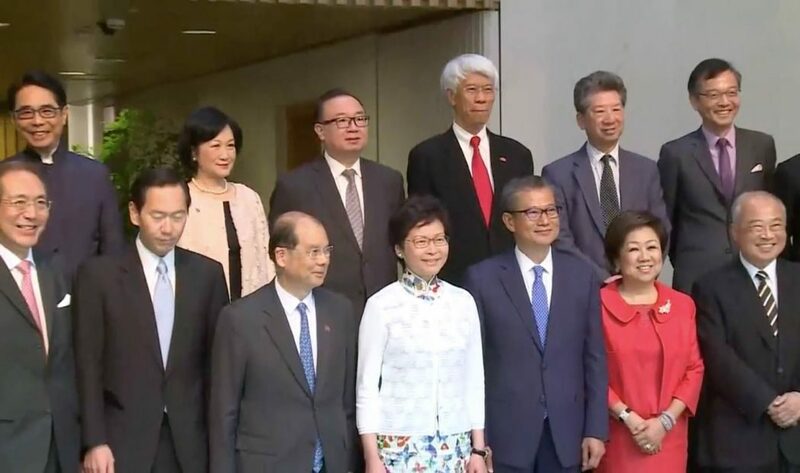 Of the 16 non-official members, seven are incumbent lawmakers, including pro-Beijing legislators Regina Ip and Horace Cheung. Lam said the purpose of placing lawmakers in the Executive Council is to facilitate communication between the executive and legislative branches. “The seven current Legislative Council members who have agreed to serve on the Executive Council are not there to just rubber stamp the government policies or to help us to lobby for Legislative Council members’ support,” she said. She expressed hope that the seven lawmakers will help the government in explaining its decisions to the legislature and ensuring the “smooth passage” of government proposals at the legislature. 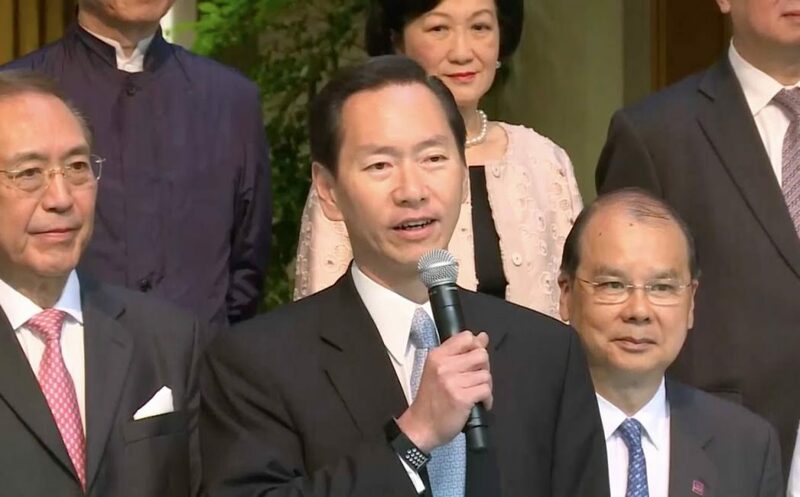 Businessman Bernard Chan, who managed Lam’s successful small-circle election campaign in March, spoke as the convener of the Executive Council on Tuesday, saying that his team looks forward to a higher level of involvement in the government’s policymaking process. Bernard Chan met the press after the first Executive Council meeting under Carrie Lam’s leadership. Photo: RTHK screenshot. Lam was asked to comment on a controversial HK$50 million payment her predecessor Leung Chun-ying received from Australian firm UGL. Before her meeting with the Executive Council on Tuesday, Lam said the priority for the new government is to mend the relationship with the legislature. She also met with a dozen protesters outside the Chief Executive Office before the meeting. Some of them urged the new leader to resist “control” by the Chinese government. 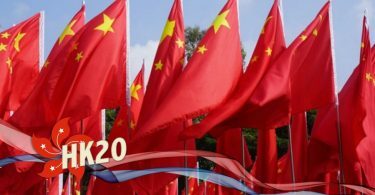 Editor’s note: Digital media outlets such as Hong Kong Free Press remain barred from attending government press conferences.